Spending time with kids can seem hard to come by. Days go by quickly and before you know it, time for connection and one-on-one quality time with our kids slips away. As the holidays approach, I like to think of gifts that provide my kids opportunities. Opportunities to spend time with the family through play and experiences. One of our favorite ways to do this, is with a family or kids sleepover! 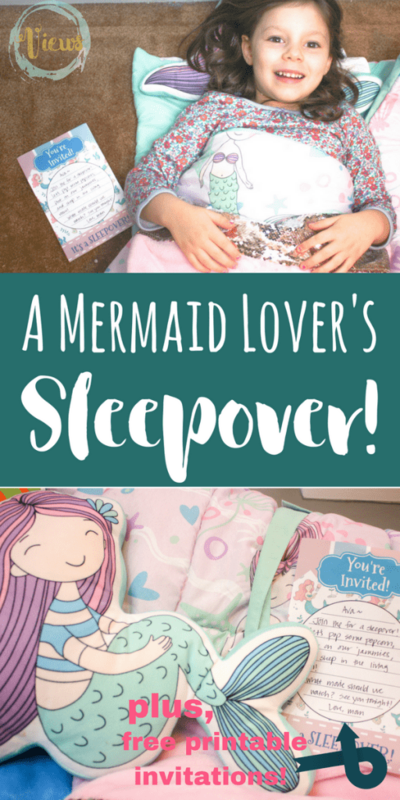 Check out some awesome gifts you can give, along with a printable sleepover invitation for mermaid lovers and animal lovers alike! *I received product in exchange for mentioned these items in my post. My kids LOVE movie nights, sleepovers, etc…basically any chance to ‘break the rules’ while bonding as a family. I love to create the hype around them, setting the stage for the most epic adventure that creates lasting memories, and gives me lots of snuggle time. 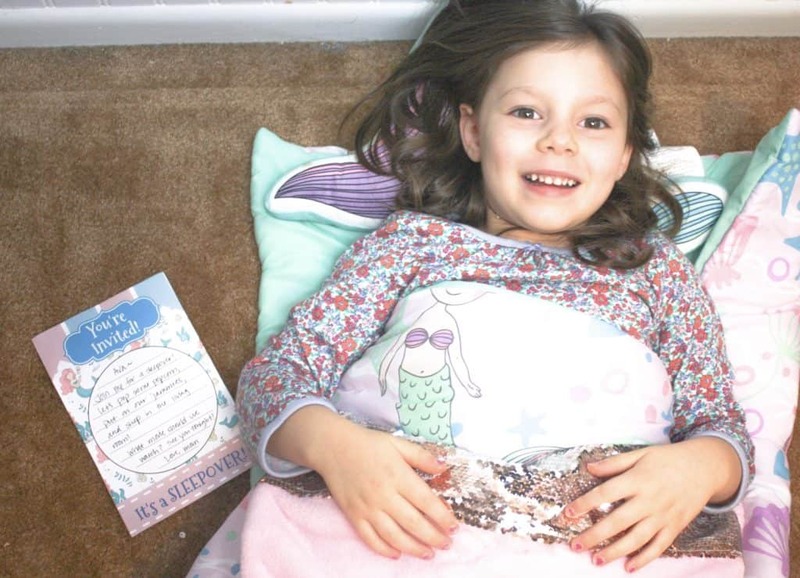 Head over to Boscov’s in store or online and grab an awesome sleeping bag! 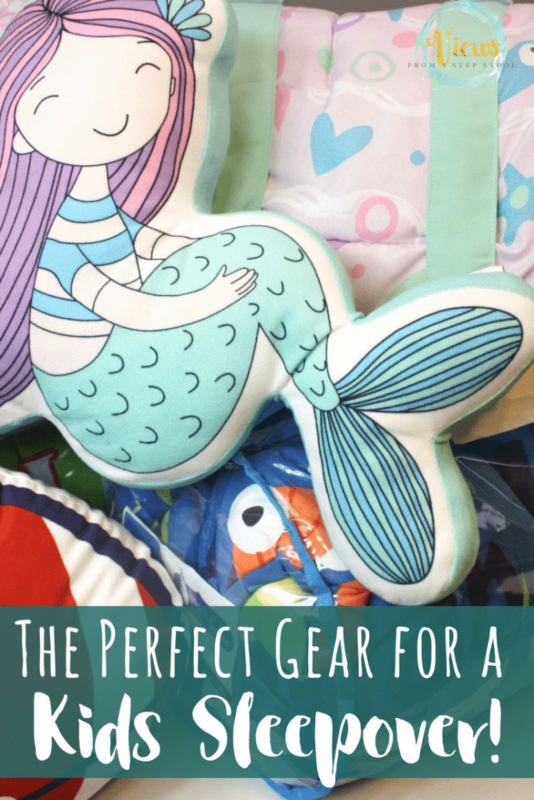 Coordinate the sleeping bag with fun accessories like a mermaid or shark tail blanket and some pillows. 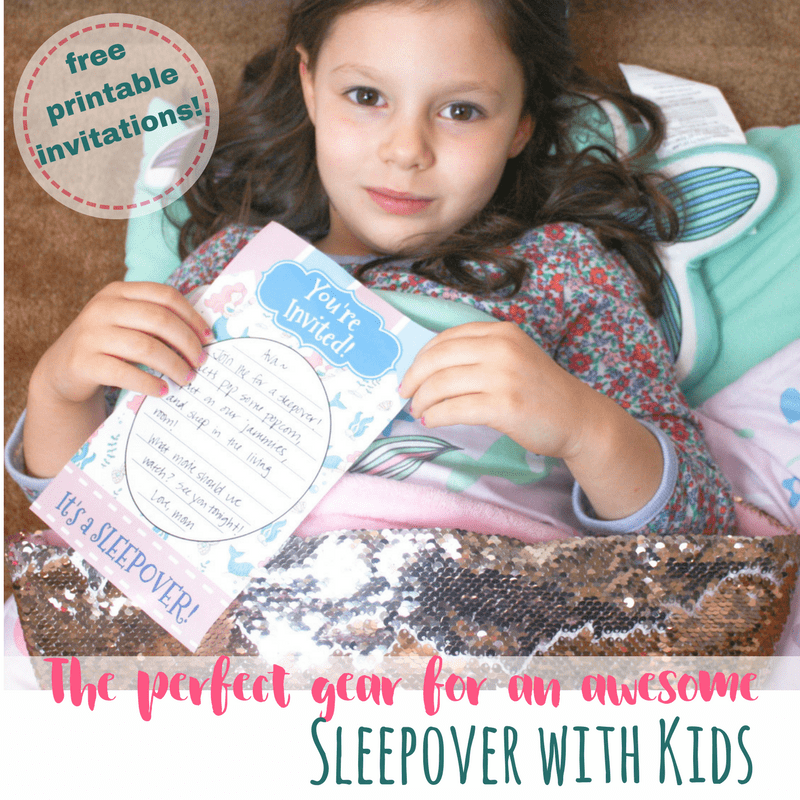 Package all of it up into a cute sleepover bundle and attach a fun printable invitation with details, making it quite the formal and fun process for kids! 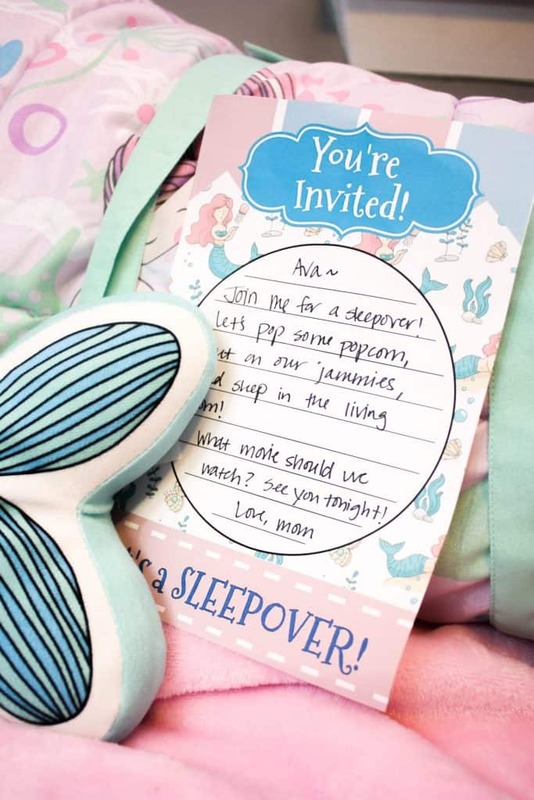 What child wouldn’t love to get an invitation like this with some themed bedding as a gift? Kids love bonding time with their families. Even if it doesn’t always seem that way (I’ve had my share of days where my son has seemed to want space from me above all else), they would choose you over and over again. Sometimes, planning these kinds of fun date nights are just what we all need. Pop some popcorn, boil some hot chocolate, whip out a board game. Then, stay up late and snuggle until you both fall asleep. 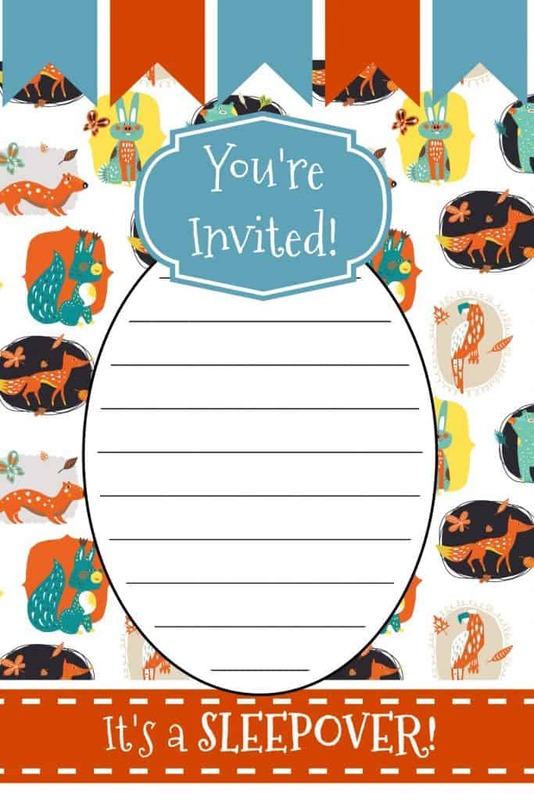 Get the animal invitations here. 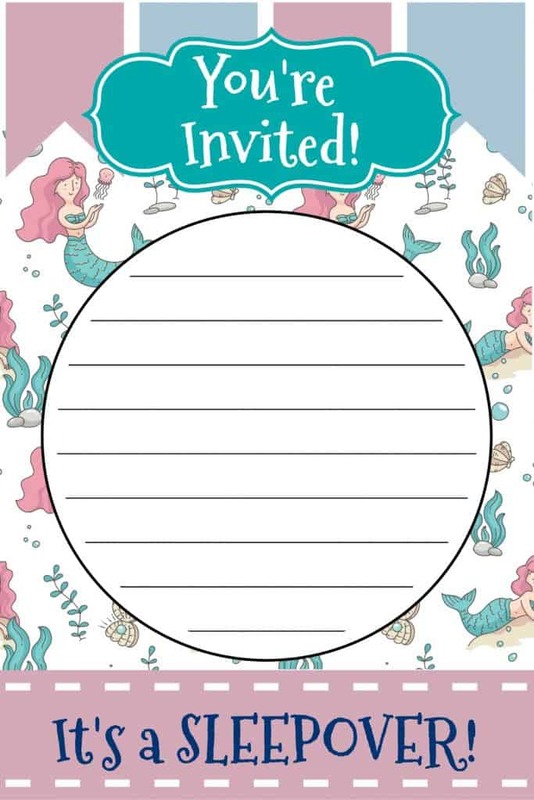 Get the mermaid invitations here. 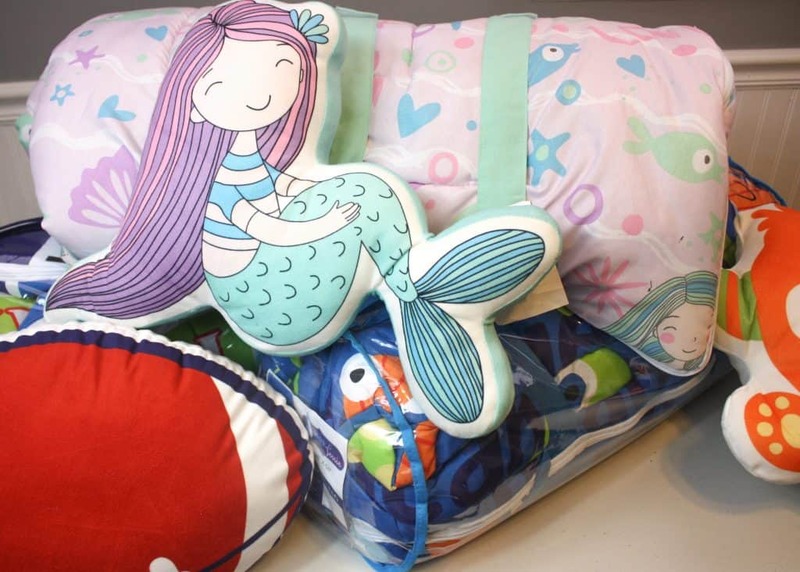 Enjoy a sleepover with your kids, and don’t forget the awesome Joey & Jessie coordinating sleep sets from Boscov’s!